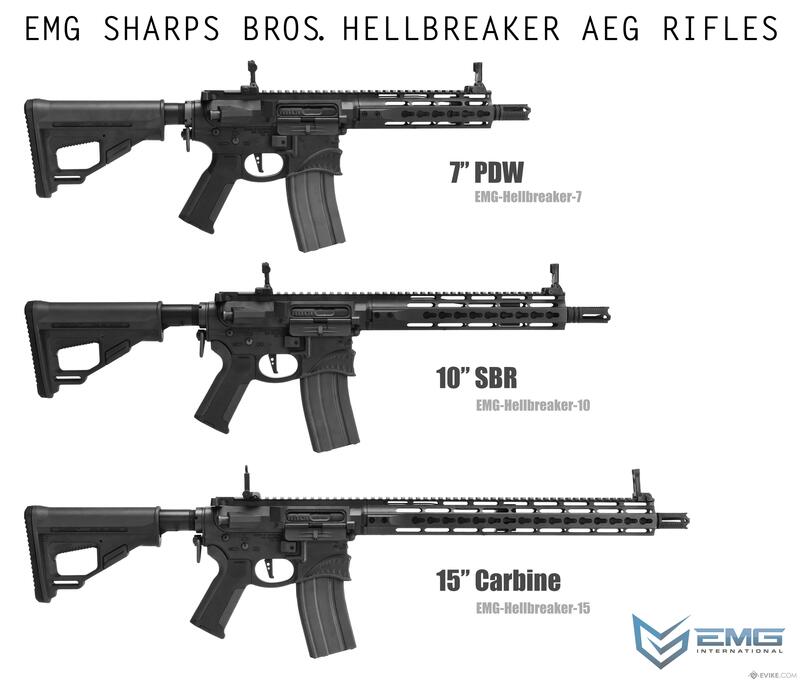 Hellbreakers distinctive appearance is inspired by the P-40 Warhawk, which was one of the United States most-produced fighter planes when World War II began. 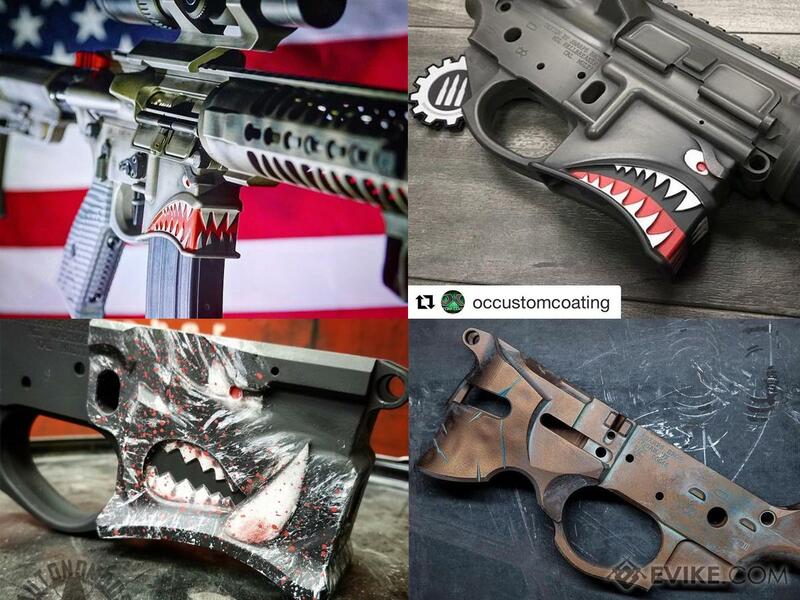 The nose art that became a popular military tradition was born from the practical need to identify friendly units, but eventually evolved to express a squadrons individuality. 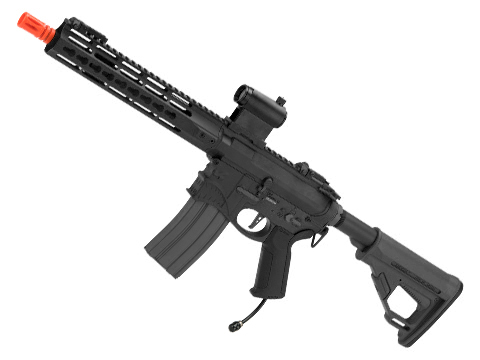 Considering the vast majority of AR-15 lowers look the same, we thought it was time to improve upon the standard and create some visual diversity in the market. 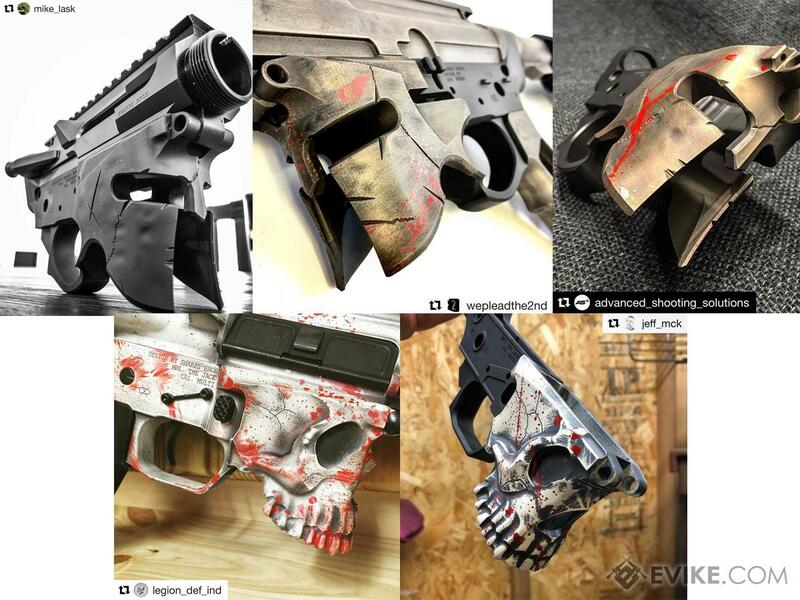 The fierce Hellbreaker lines are where looks meet performance: it takes painstaking detail work to machine each tooth point and eyebrow curve, but we never skimp on quality along the way. 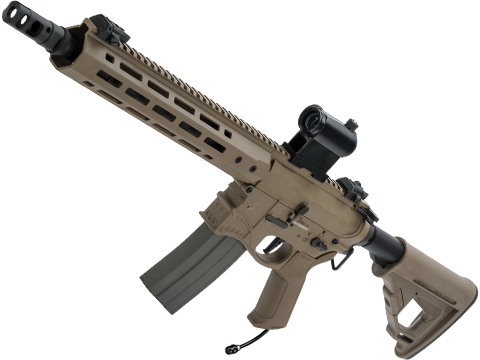 When you hold a Hellbreaker, we believe youre holding one of the finest, most unique M4/AR-15 lower receivers in the world. 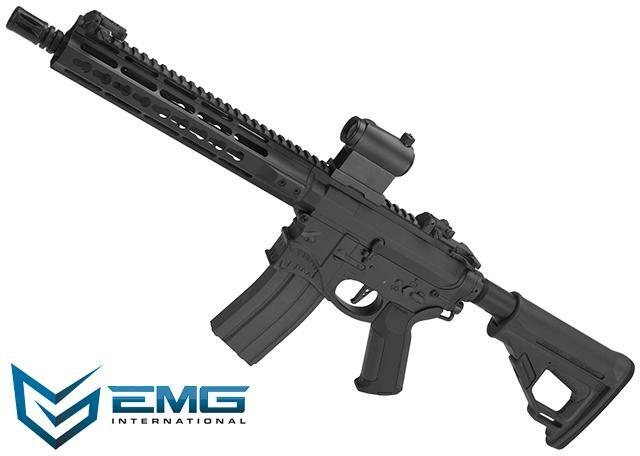 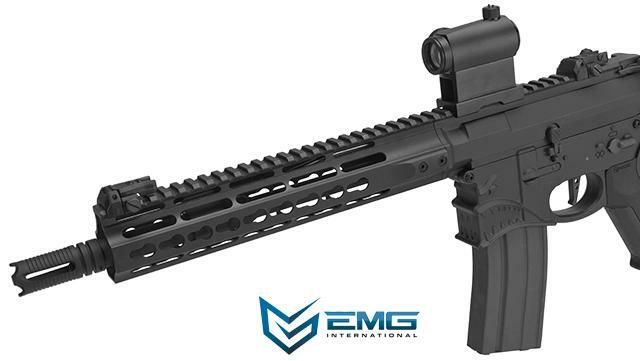 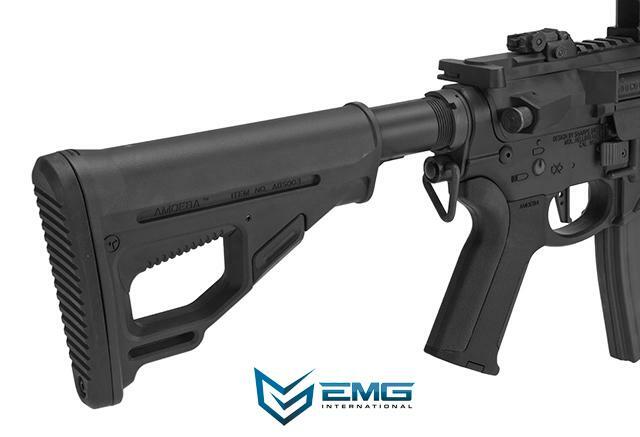 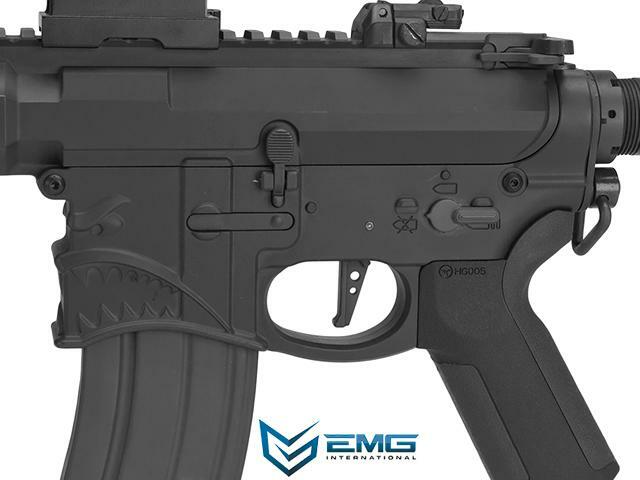 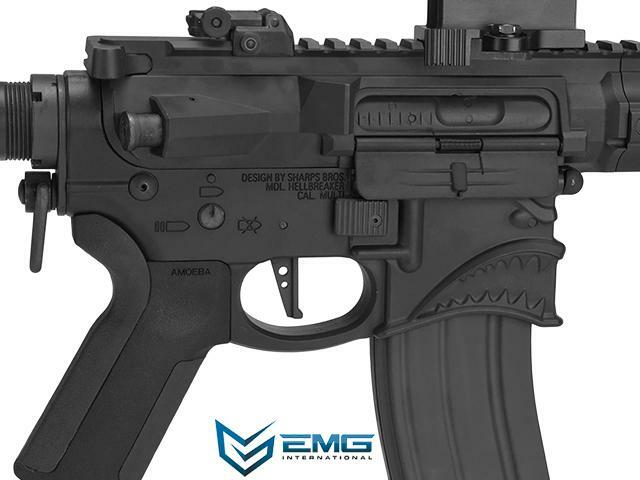 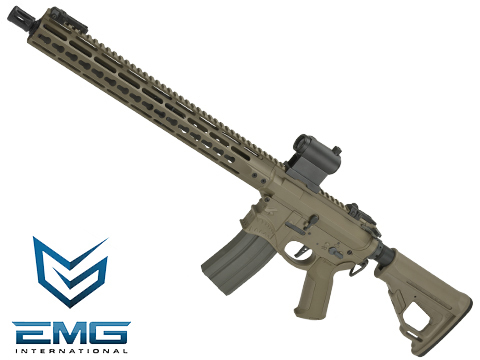 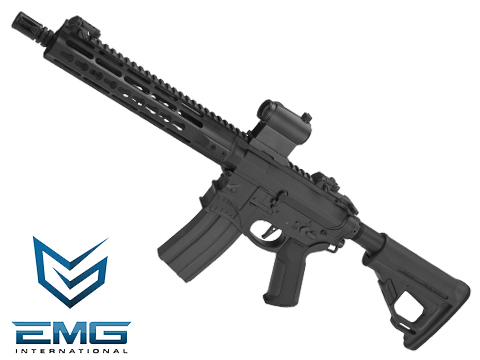 An Exclusive collaboration project between EMG and Sharps Bros. Firearm Design, the Hellbreaker Airsoft receiver accurately depicts the fine detail and craftsmanship of the real AR15 firearms receiver. 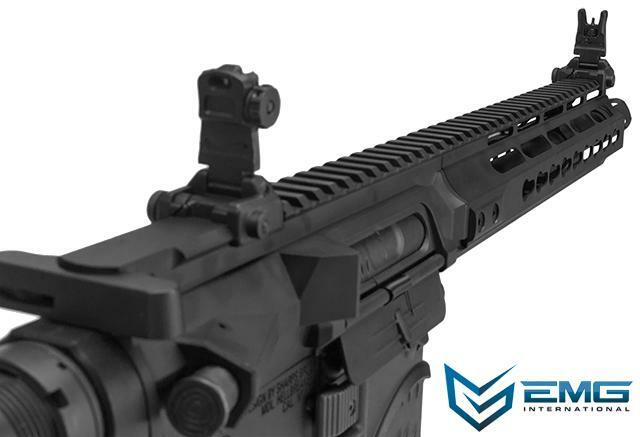 The stunning and fierce details of the Hellbreaker really sets this apart from your average rifle and brings a whole new meaning to personal weapons customization. 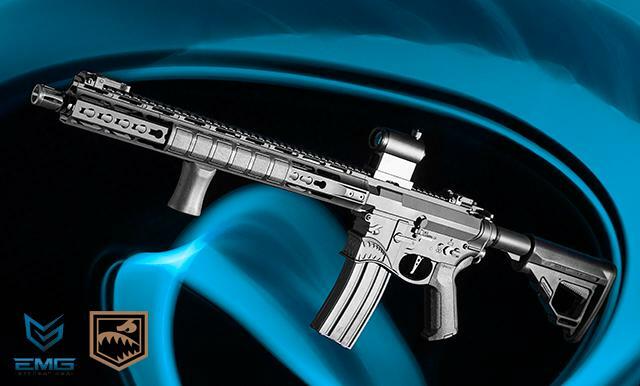 These fully featured rifles are made not only to look and feel amazing, but also to perform right out of the box. 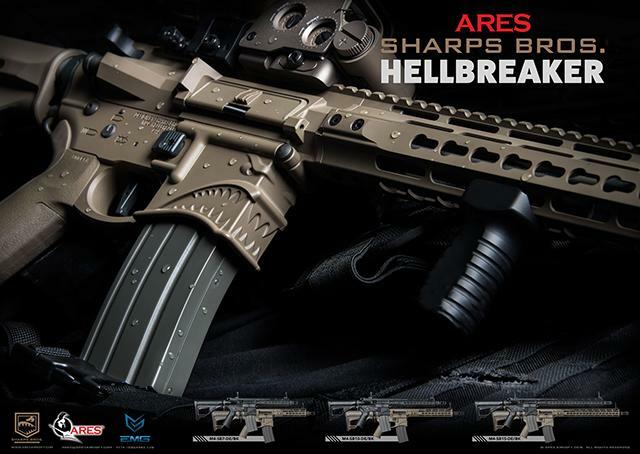 Performance and Internals: Internally, the Hellbreaker is the most advanced Airsoft rifle on the market today featuring the award winning QD programmable gearbox as seen on the popular Amoeba series AEG by ARES, high performance motor, adjustable hopup and superb accuracy. 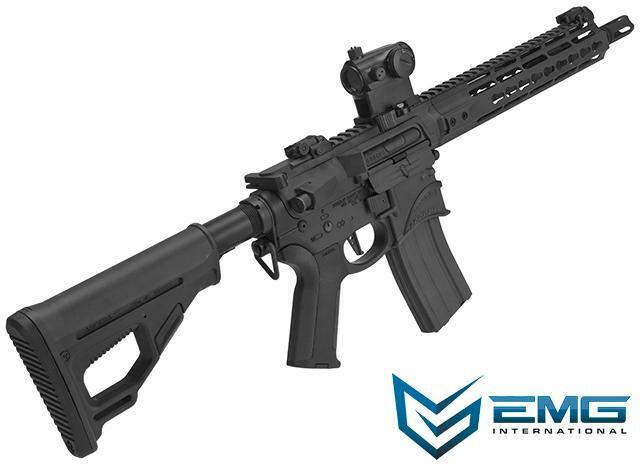 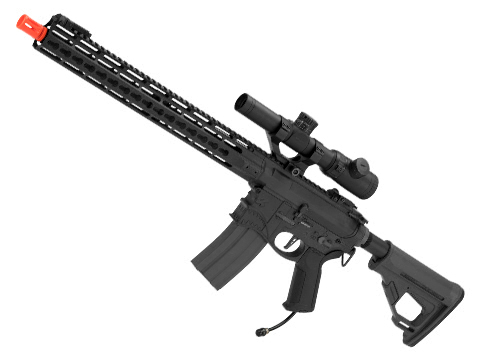 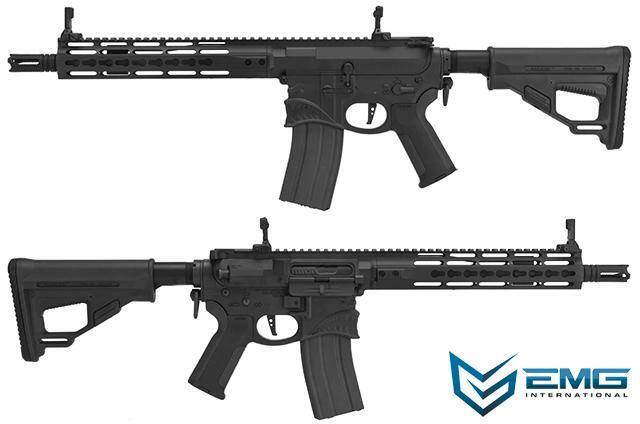 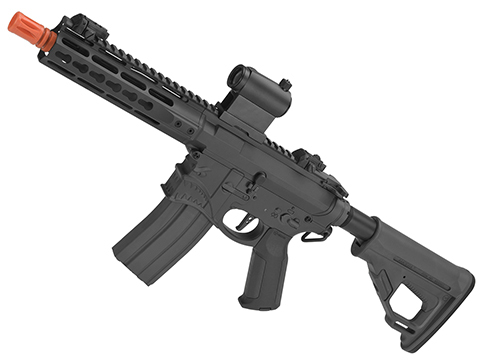 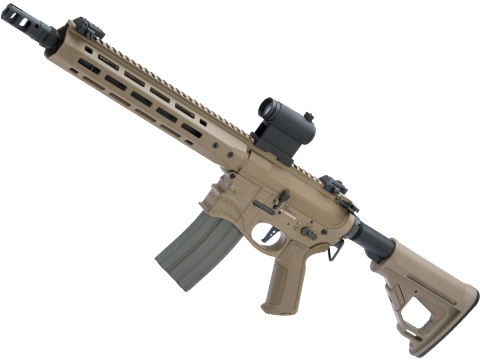 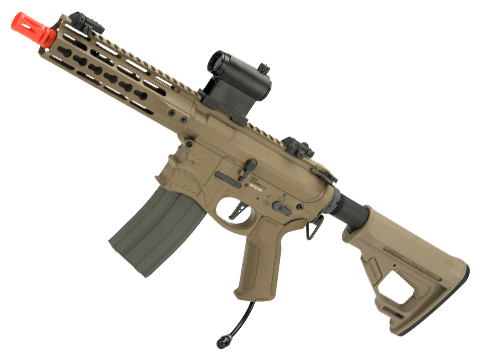 Externally, the Hellbreaker features a full metal Sharps Bros licensed metal receiver with enlarged magazine well for high speed operations, Octarms system for quick handguard sway to keep your load outs for various operations zeroed in, keymod advanced handguard, optic ready upper receiver, flip-up front and rear sight, ergonomic retractable stock, advanced motor grip, sling adapters, and much more!